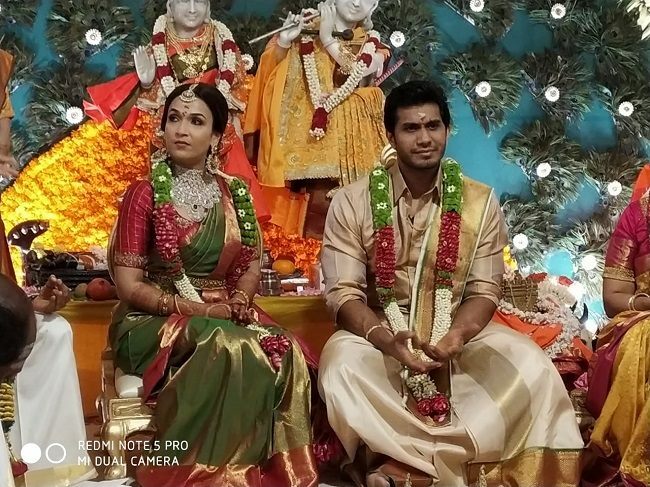 Producer and filmmaker Soundarya Rajinikanth got married to actor and businessman Vishagan Vanangamudi on Monday at the Leela Palace in Chennai. 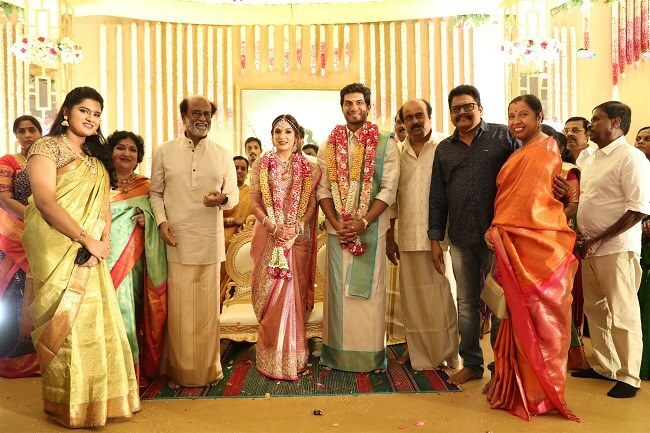 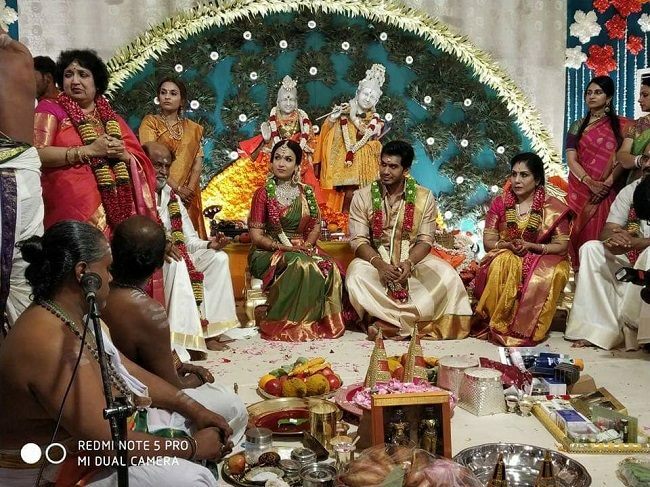 Photos from the wedding being shared on social media show the bride and groom, along with actor-turned-politician Rajinikanth and his wife Latha, Soundarya’s parents, smiling at the cameras. 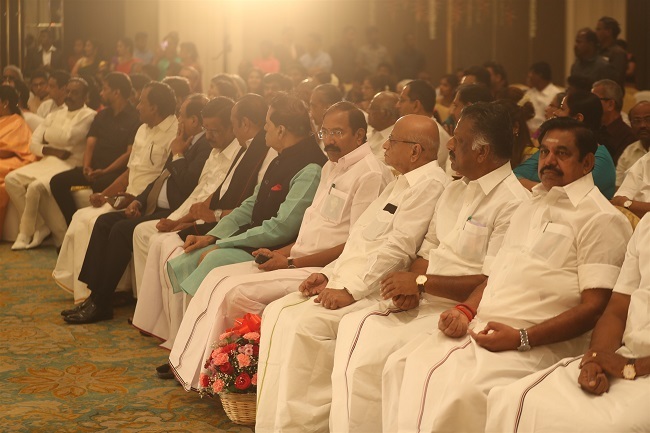 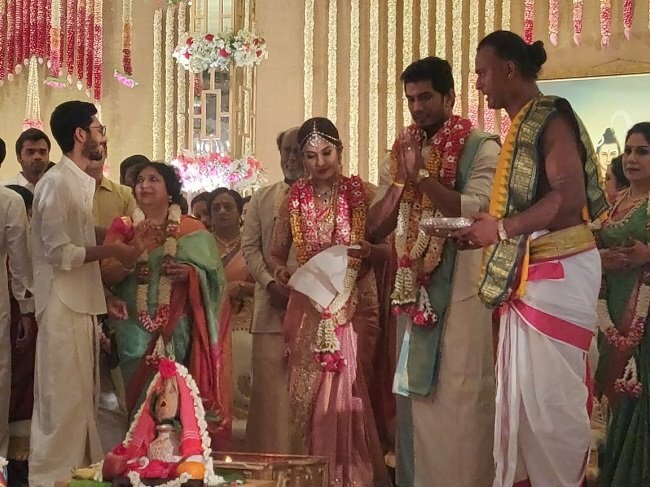 The wedding ceremony or muhurtham was held at 9 am where the bride was dressed in a green and red silk saree while the groom was in the traditional white and gold silk attire. 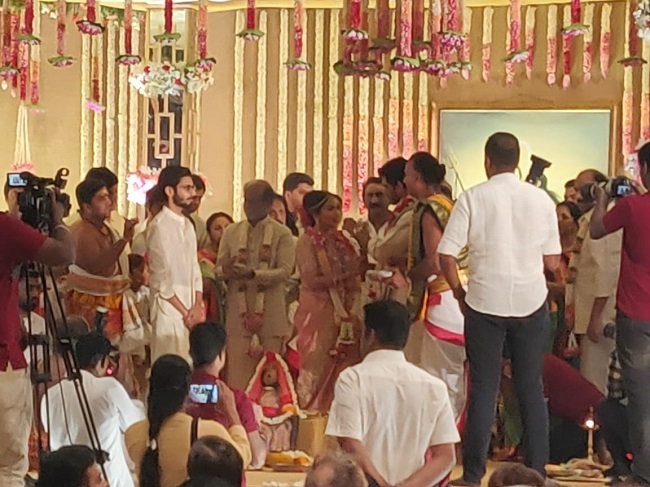 For the reception held later, Soundarya is seen dressed in a beautiful pink and gold saree by Abu Jani Sandeep Khosla, while her husband is wearing a white silk shirt and a veshti with blue border along with a silk angavashtram. 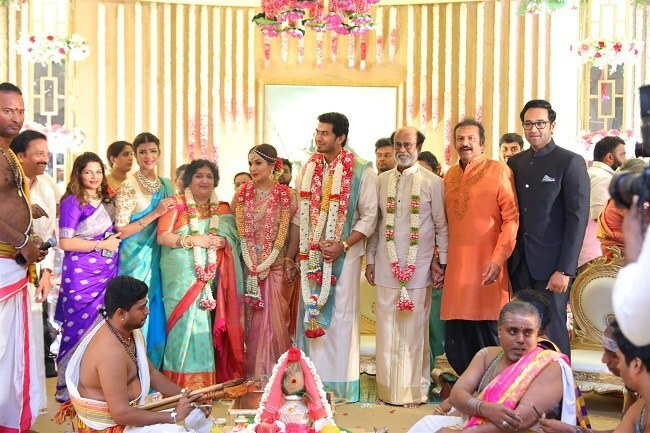 Soundarya's sister and filmmaker Aishwarya Rajinikanth and her husband and actor Dhanush were also in attendance. 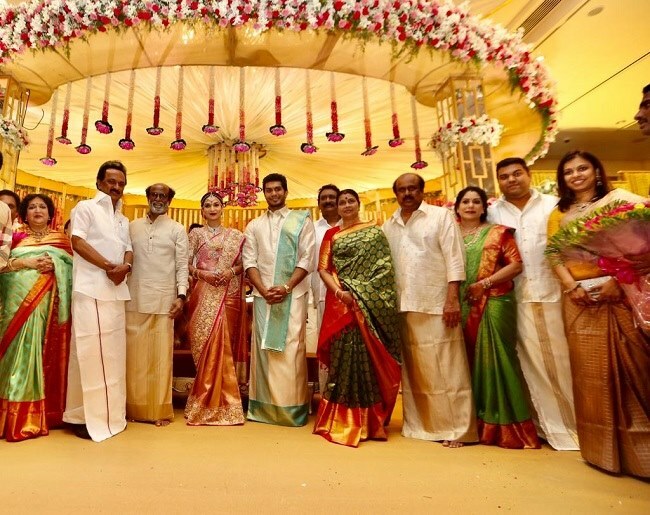 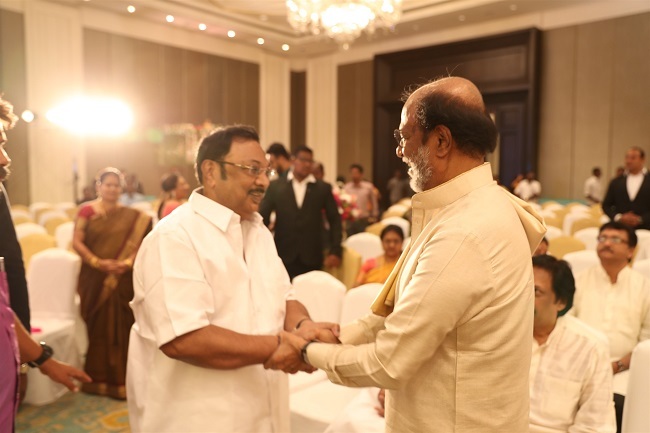 According to reports, several other actors like Sivaji Prabhu, Manjima Mohan, Mohan Babu, Andrea Jeremiah, Anirudh and Aditi Rao Hydari and filmmaker Mani Ratnam were also present at the wedding. 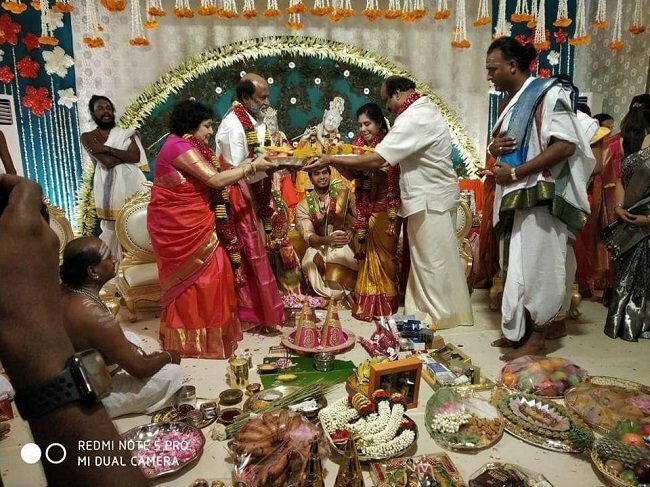 The wedding, which took place between 9 am and 10.30 am, was followed by a reception for family and business friends. 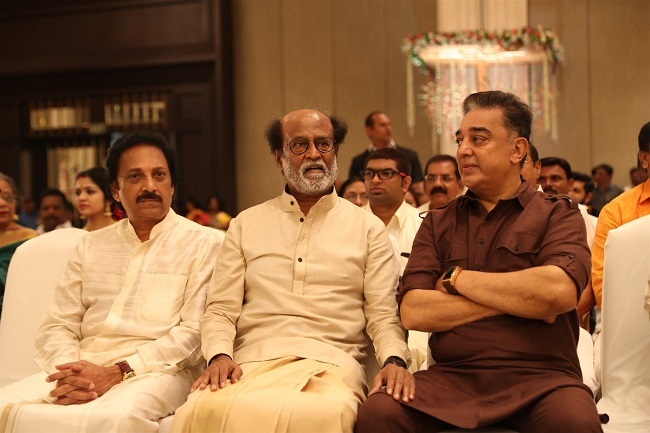 There will also be a cocktail party at 8.30 pm. 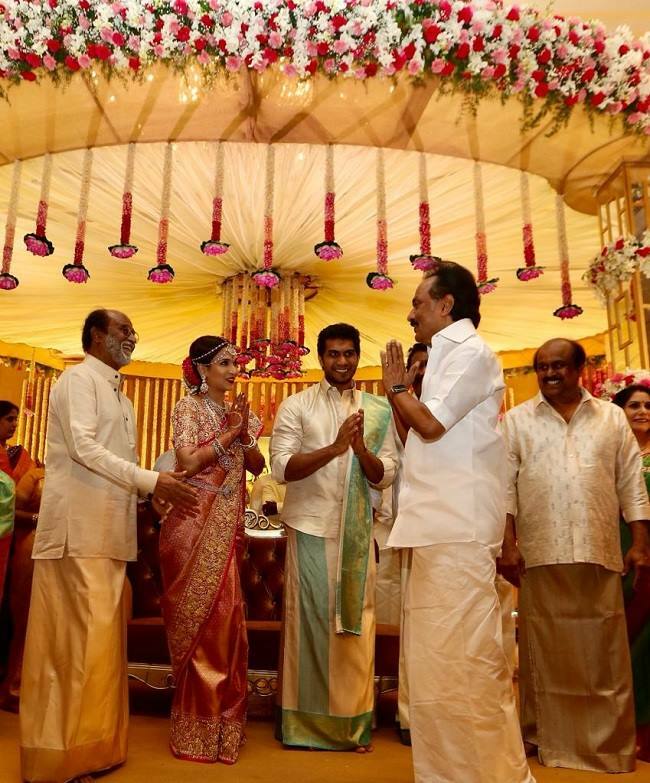 DMK President MK Stalin also congratulated the couple and the families.